We bought most of ours from Dunnes when we were on holiday in Ireland. Hi RB may I ask were you bought your macs I asked G he sent me a few places online thanks G it's just I like to try what I am purchase on in front of a mirror I sure that you understand that being a lady yourself I suppose that the demand is not there younger girls want something new all the time lovely to chat with you Janice. 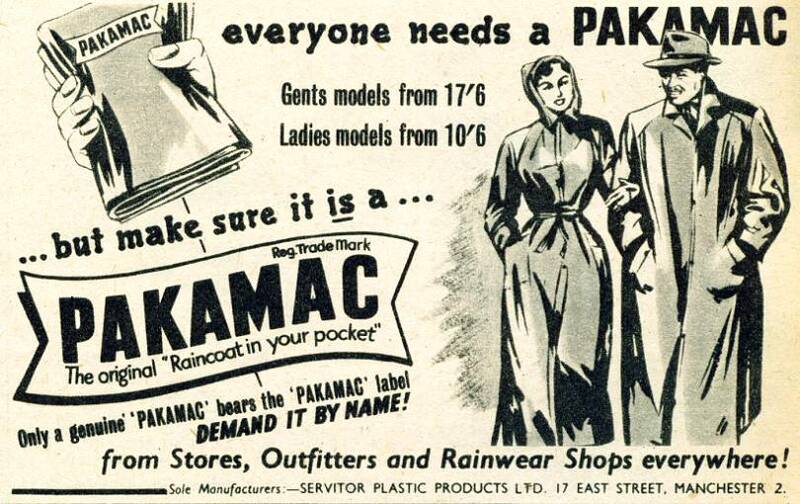 Absolutely agree Janice plastic macs are ideal for our weather because they fold up so easily and you wouldn't believe how many people have asked us where we got ours from. We can't really understand why the shops stopped selling them and like you hope they come back. Hi I have see a few ladies in plastic macs of late hope they do come back into fashion they are so handy fit into your bag ready for a downpour . Hi G thank you for your nice comment. As I said it doesn't rain everytime we go on holiday but I think someone likes it when it does so if you love the comments about us being out in the rain I think you might get some more. I think you are right that some people really like these raincoats because we get lots of nice comments when it is raining. The sort of thing people say are you look prepared for the weather or you look like you are ready for rain and a lot of people ask where they can buy them. When we went to Betsy Coed last year it was really raining and I heard one lady say to her friend I wish I had a plastic mac like that lady is wearing. All you could buy in the shops there were those thin cagoules and Im not sure they are even really waterproof. I can't really understand why the shops don't sell macs now if so many people want them. C&A in Bedford were really good but they closed down. We are just lucky because we bought quite a few in Ireland where they have the Dunnes shops. I don't know if anyone else knows where you can buy them but I hope that is OK for you. Hi Jeff that program that had a brief showing of a woman in a plastic Mac the trailer showed nothing but that bit thought that was strange. Hi Frank, glad to have been able to help. I agree, the scene was too short. However, sightings of see-through plastic macs are very rare these days so we have to be grateful for anything we get. Hello Frank, the scene with the woman in the red plastic mac is from the series "Moving On" which is shown each afternoon on BBC. The episode with the mac is 7.3 in the series entitled "Picture of Innocence". The episode is available on BBC iPlayer and the mac scene starts about 30 minutes into the program. By the way, I thinks it is a Primark mac. Hope that helps. Now that the word has come up I have very vague early-60s in UK memories of 'bri-nylon' I think it was used for clothes of various kinds. My first guess would be that the 'bri' was short for 'British'. I just Googled it and it seems to have been a specific type of nylon with a specific formulation. (If that sounds vague, I did fail Form 4 chemistry so I'm no expert). One other thing that came out of the Google stuff is that it generated a lot of static electricity and that was a problem. Hi G we said we would add another comment about us going out in the rain when we were on holiday and I hope this is the type of thing you wanted to hear. We think it rained almost every day when we went to Killarney but I wondered whether it was quite as bad as we remembered so I searched on google for the weather in August 1997 and someone has saved some old BBC weather forecasts. Although they don't show Ireland very well you can see how much rain we had! Despite the atrocious weather we still had a lovely time and I think Robin is right because sometimes you can still have a nice time even when it is raining especially when other people are so pleased to see you like the lady at Muckross farm. She was really kind and she said she thought our macs were really good and because we also had wellingtons and a brolly I remember her saying look at you, you look like you are prepared for the weather did someone tell you it rains a lot in Ireland! We had so much rain that I think we could add a few more comments if this is the type of thing you would like to hear more about. Hi G sorry it has taken a long time to add another comment but I wasn't sure whether you wanted to hear more about our macs or more about us going out in the rain so we have added both and I hope they are OK. I think you probably have a good idea what our macs are like now anyway because you are right they are the type of nearly transparent clear and black plastic macs that you could buy in lots of shops. I think they are probably the most popular colours for ladies and gents macs and we are so pleased we bought them when we did because it is quite hard to find them now. We like them because they are completely waterproof and not just showerproof and they are quite long so we don't need waterproof trousers on so they are much better than cagoules. And because they fold up so easily we can take them with us if we are not sure whether it is going to rain or not so they are really good for days out. Beth added a comment about our umbrella and the one we took to Ireland was one of the see through plastic ones because they are really good for sight seeing and we don't really worry about rain dripping off it because we usually have our macs on anyway and I don't think we would notice the difference between this and the rain outside. Hi when nylon macs first came out they were called bri nylon does anybody know if this was a make or were they different. Hi Colin, that is exactly why I never waste my money buying cheap umbrellas these days, that are undersized, feeble, and you see them flapping in the wind and popping inside out, they last five minutes if you're lucky. Besides the Fulton 'bubbles' I was talking with Beth about, I also have a few of the near-original Knirps telescopics from the 70s and 80s, bought from Salvos or Vinnies, which have lasted me 10 years plus as the second owner. They're just better designed and better made, and I've never ever had one buckle in the wind. Frank, often-times your brother's right, it does get stinking hot at various times in most parts of Australia,but it also be downright miserable here, even during the summer. Melbourne gets exactly the same rubbish from the rest of the country about its crappy weather that Manchester does. Last Friday my daughter and I went into the Aust Open tennis, and it rained right up to mid-afternoon. I live in Blackpool, England, which can be wet and windy at times (it's having a spell of them now) and abandoned umbrellas which have been blown inside is a common sight. They can also drag people off balance at times, so be wary of what kind of umbrella you choose.